This was a quick and easy craft to do with Kaye. 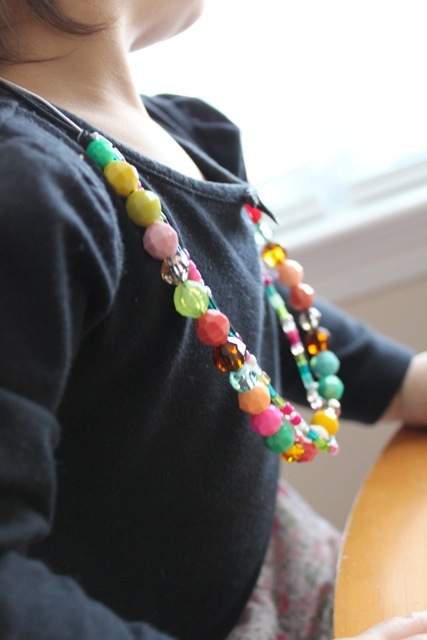 She was able to pick out the beads and thread the elastic through. 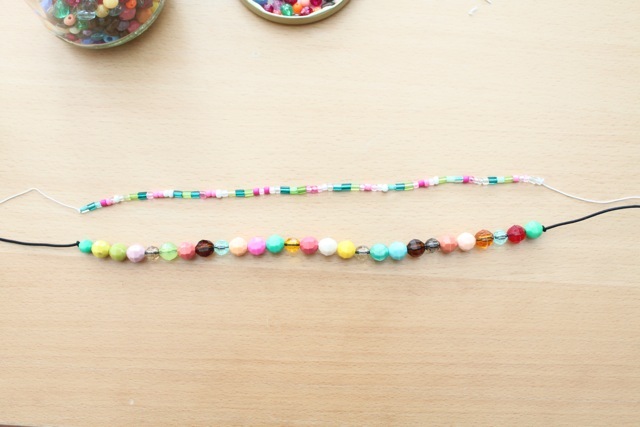 We made this one with whatever beads we had lying around. 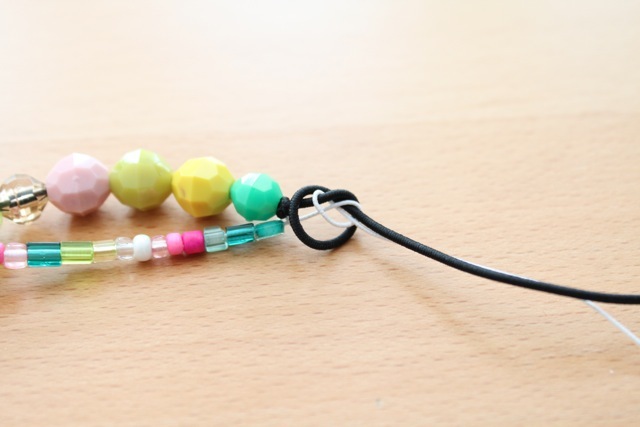 I used two different colored elastic to help you see the instructions clearly. 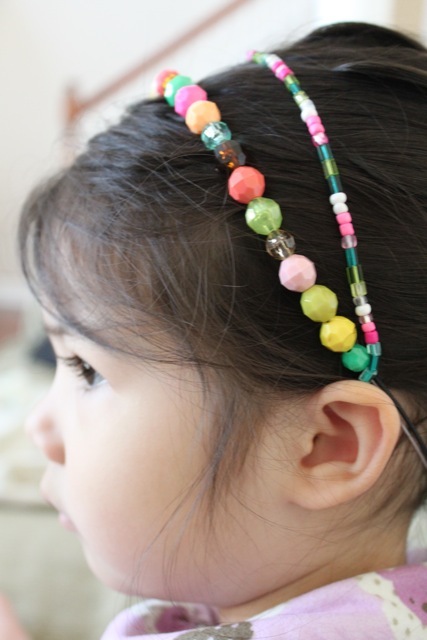 Our little Elle has been stealing this headband from her sister and wearing it as a necklace. So it’s multipurpose. If you make something using this tutorial, please upload pictures of it in our Flickr group to show it off to everyone. You may be featured on Simply Modern Mom. 1. 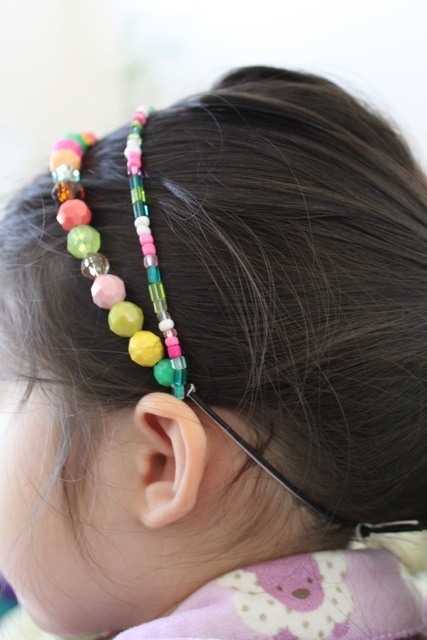 Measure the head size of your child or you for a headband then give lots of room to spare. 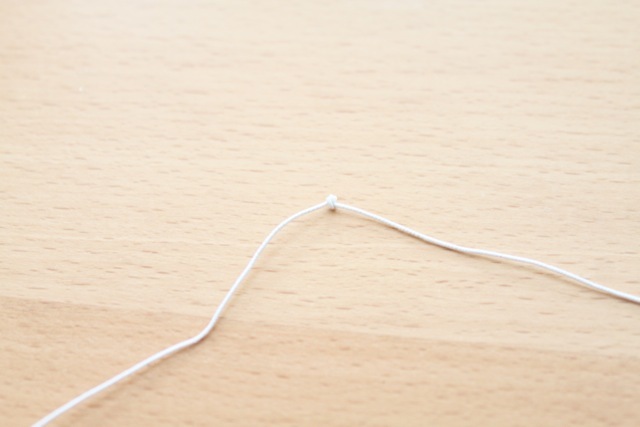 Then tie a knot on one side about 3-4 inches from the end. 2. 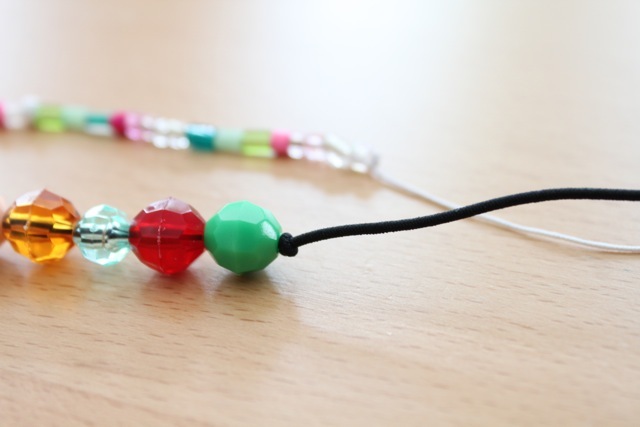 Thread the first elastic with beads. For me, I just had Kaye bead enough to cover from ear to ear. Tie the other end when you’re through. 3. 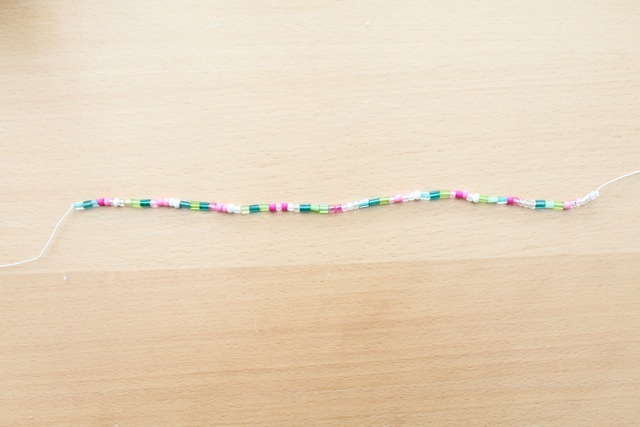 Thread the second elastic with beads. Same as the last step. 4. 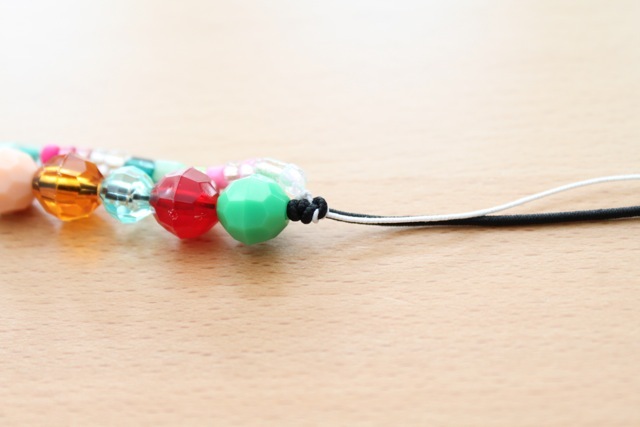 Tie both elastic strings together at where the beads end. Do to both sides. 5. Remeasure the head and tie both open ends together so it meets at the bottom of the headband. 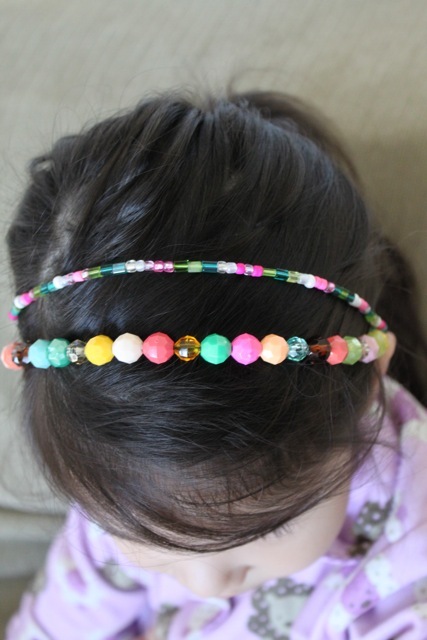 » Tell me… Do your girls wear headbands? Or any hair accessories for that matter? My girls like to pull them out. Oh my gosh Tiff!!!!! This is sooooooo cute! I’m glad I’m having a girl so that I can participate in all the awesome cute girlie things you put on here. hey court! glad to see you on here again. and i’m excited about your girl so our girls can play dress up! you’re lucky. my youngest won’t keep anything in her hair. but she loves wearing necklaces. This is so cute…my daughter pulls them out—I really really wish she wouldn’t. nope, her hair doesn’t get caught in it. i didn’t make it super tight and the elastic helps. tiffany!!!! thanks for playing the link up game with me! and what a wonderful tutorial! 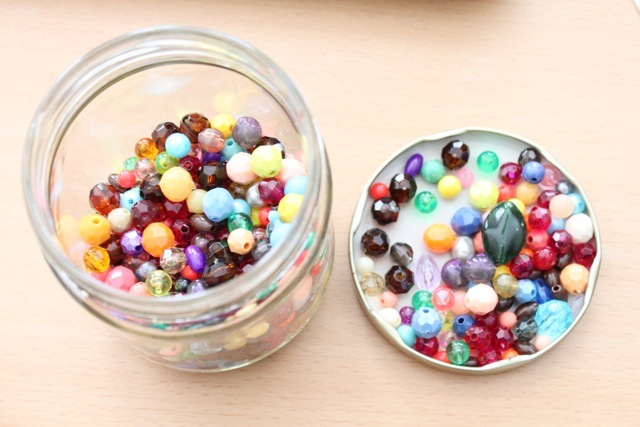 katie would so love one of these…especially with all the colors! thanks, vanessa! kaye had a great time making hers. send me a pictures of katie’s! what a cute craft!!! I have seven girls so we will definitely be giving this one a try!! BTW I just found your blog by chance and I am so glad I did it is lovely!! Simple and so cute. 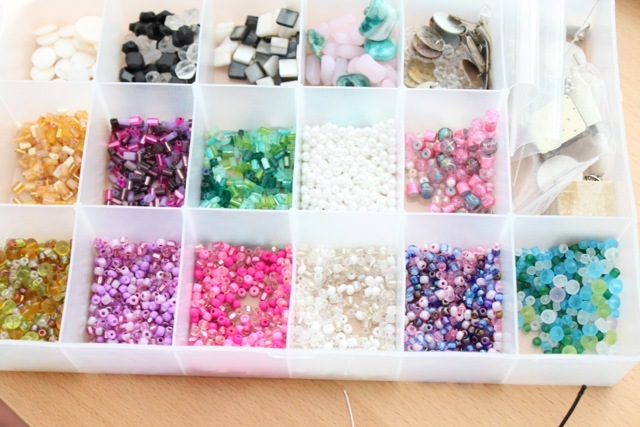 I love this idea and i going de make it with my daughter.